Situated on Envia Golf Course, 15 minutes’ drive from Almeria, this superb 5-star hotel offers swimming pools, a wellness centre and wonderful views. The air-conditioned rooms have extra-large baths and balconies. 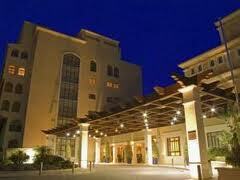 All of the modern, spacious rooms have free internet access and satellite TV. Most have views of the surrounding hills. Guests at the hotel enjoy discounted rates at the Envía spa and wellness centre. There are indoor and outdoor pools, as well as a hot tub. The St Andrews Restaurant offers buffet breakfast, lunch and dinner, including both Spanish and international dishes. 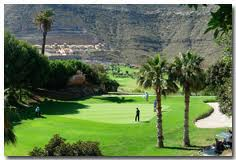 El Mirador offers à la carte meals and views of the golf course. The relaxed Murfield bar offers coffee and drinks, and has a terrace. The beaches of Aguadulce are just 7 km away, while the A-7 Motorway is just 2.5 km away. Almeria Airport can be reached in less than 30 minutes. 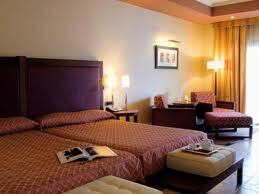 Hotel Rooms: 127, Hotel Chain: Vincci Hoteles.